Our popular Sportive Training Plan is based on widely accepted principles of cycling training that can help to prevent “over training” injuries and build fitness, skills and confidence to peak for a race. When you place the body under stress and then allow it to recover, your body rebuilds itself slightly stronger in preparation for the next stress or training session. This is the training principle of overcompensation. Varying the intensity, duration and frequency of your training sessions will vary the amount of stress that you place the body under. You must treat rest and recovery as equally important as your training sessions for overcompensation to work properly. As the body gets fitter changes take place in the cardiovascular, respiratory, muscular and even skeletal systems. The training principle of specificity means that the specific adaptations for a particular sport such as cycling will only come from cycling. Cross training activities (running, swimming, circuit classes etc.) are beneficial but for reasons of injury prevention, motivation and the development of basic fitness. More simply: you have limited to time to train so to get better “cycling legs” spend that time on your bike. Just as 3-5 sessions a week produce maximum gains, periods of inactivity can erode fitness alarmingly quickly. The best results will come from training consistently and the key to this is not missing sessions or weeks through injury; listen to your body and avoid “over training”. Our Sportive Training Plan uses the periodization method of training, the workouts get progressively tough and more specific over two four-week periods before tapering down in the final period to allow the body to recover and prepare for your sportive. By building fitness conservatively the fitness gains from each period are kept as the foundation for the next period. 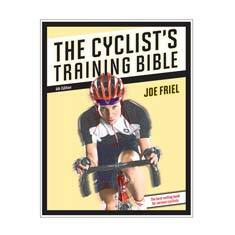 If you would like to learn more about the principles of cycling training then check out The Cyclist’s Training Bible by Joe Friel. This classic cycling training reference book that will help you plan your training and understand what will and won’t make you fitter. The Cyclist’s Training Bible includes tips on hot to build strength and flexibility to underpin your cycling fitness. Goal setting is an important principle of training and there’s nothing better than having a sportive goal to build your training around. 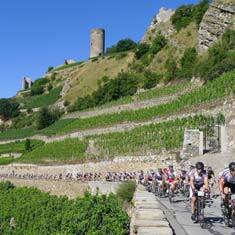 How many cycling sportives have you taken part in? Inspirational training tips, tasty recipes, latest news delivered to your inbox once a month. Brevet's free monthly Newsletter delivers training tips, tasty nutritional recipes and the latest Brevet holiday news straight to your inbox. High quality hotel – the spa included massage, sauna and steam room. Perfect for tired legs! Not sure how many hosts would give you their front wheel to ensure you completed your event! Very well organized, excellent hotel and food and overall a great trip! 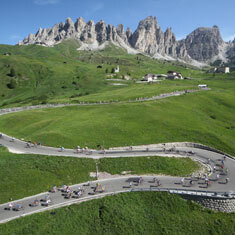 The greatest of fun to ride in stunning scenery and then relax in a great hotel with fun people! 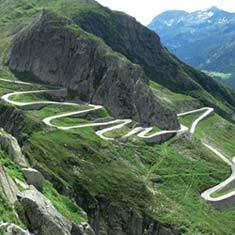 Great quality roads, seriously fantastic views – wonderfully distracting from the climbing!